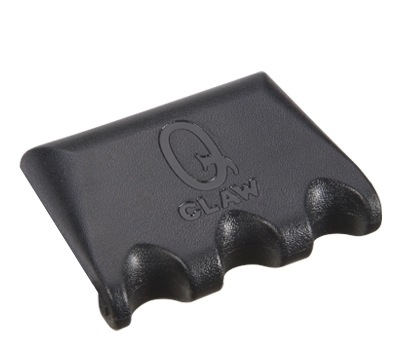 The Q-Claw is self weighted to stay put on the surface with no clips. The Q-Claw has a textured rubber surface to help your cue adhere and not slide out. Holds up to 3 cues.